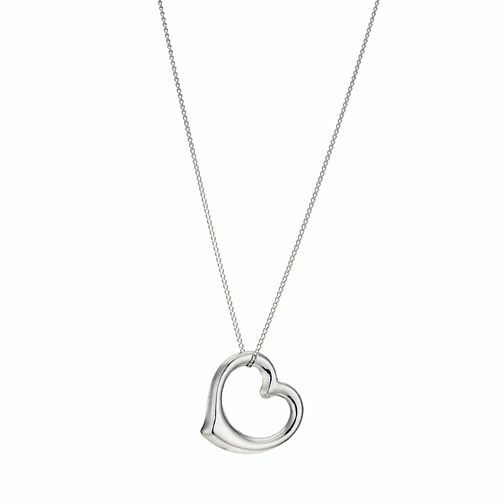 The classic heart motif is given a contemporary edge with this 9ct white gold open heart pendant. Hung from a fine 18" chain this is a simply chic necklace, perfectly suited to all occasions and outfits. 9ct White Gold 18" Swinging Heart Pendant is rated 3.6 out of 5 by 16. Rated 1 out of 5 by Anonymous from Like something out of a cracker! Beautiful in the photos, cheap and nasty in reality. No weight behind it and very thin metal. Most disappointed.